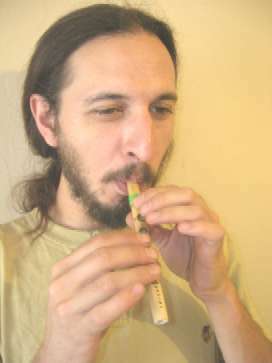 Venezuelan Flute. Wind instrument from the aborigines of Venezuela. Originally built in the stem of a shrub. These are made of bamboo, its size ranges from 10 to 12 cm long. The sound is similar to a bagpipe with an Eastern air, is an almost unknown to many researchers. This instrument is a replica of an aboriginal Venezuelan, Eastern Venezuela (completely unknown to the world), part of French Guiana and Brazil. The natives built this tool to hollow stem of a plant in it the size of a pencil. 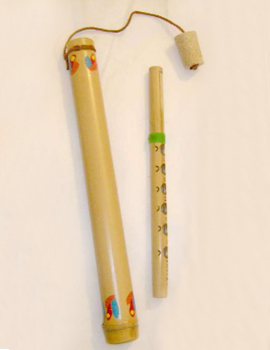 The instrument has a longitudinal vibrating the blow, the natives plug one end of the branch with beeswax and can be executed with one hand or both hands as the instrument has between 3 to 5 small holes. 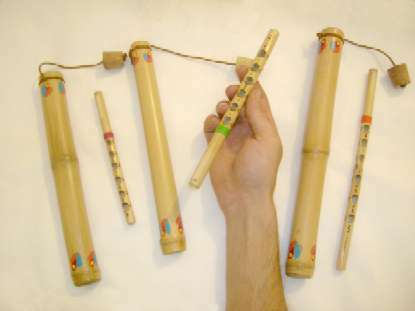 Venezuelan This flute has a dimension of approximately 10 to 15 cm long with a diameter not exceeding 12 millimeters. The same with us as we build a kind of reed (Arundo donax) and a bamboo box for protection and that the flute is fragile and small. Its implementation is absolutely free, there is not any defined musical scale, Aboriginal executed the instrument uncovering any orifice of the instrument sounding the same as a bagpipe in Scotland. 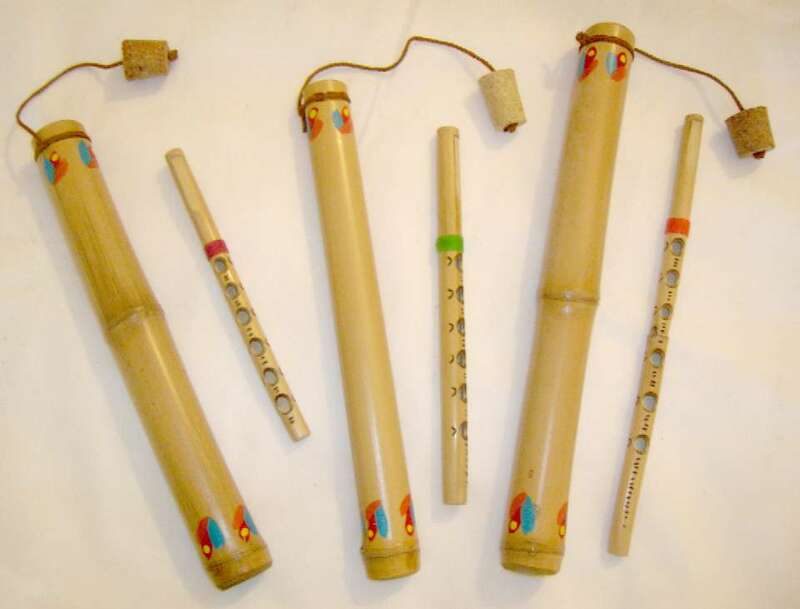 The name means TETUM NOSEM flute in the native language of them, language was enriched by the English, French, Spanish dialects own more of their culture. This instrument has been discovered by us in 1997 on site and want to spread it as much research as unaware of musicologists in the world today. You could say that perhaps an ancestor of the flute by Millo Colombia have similar characteristics in the construction of the tongue and its manner of implementation, but differ only in size. To achieve greater or lesser volume of the instrument Aboriginal lifted the latch with great care not to break it and gave encouragement to the team by a few seconds into this space that the body of the instrument itself and the tongue are more separate (perhaps a millimeter more), this would achieve greater volume in the sound to blow the flute.